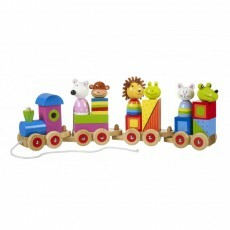 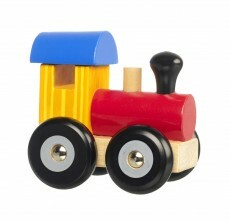 Wooden trains and train sets are classic, timeless toys that will be treasured for generations. 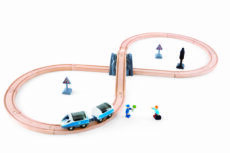 Children will have hours of fun setting up the track, positioning the buildings, bridges and accessories, before coupling up the trains ready to depart. 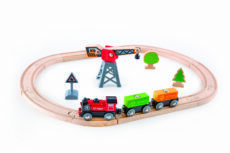 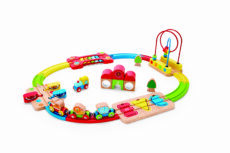 This fabulous collection of traditional toys includes a number of different wooden train sets, toy vehicles, plus a wonderful play mat. 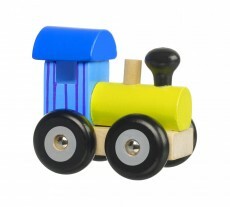 Compatible with most other leading brands of wooden trains.